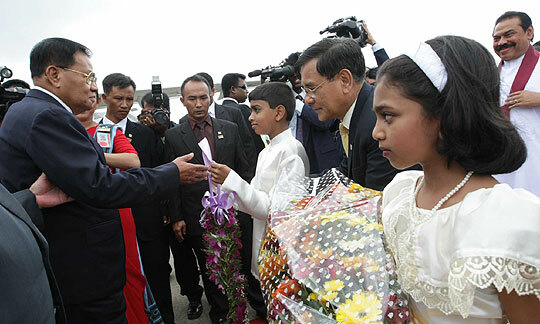 The President and the Chairman of the State Peace and Development Council of the Union of Myanmar, Senior General Than Shwe and the First Lady Than Shwe arrived in the island on 12th November (today) on an official visit to Sri Lanka. 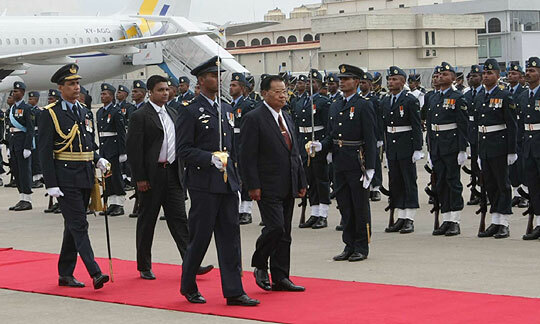 President Than Shwe and his delegation was warmly welcomed by the Sri Lankan President Mahinda Rajapaksa and First Lady Shiranthi Rajapaksa at Katunayake International Air Port. 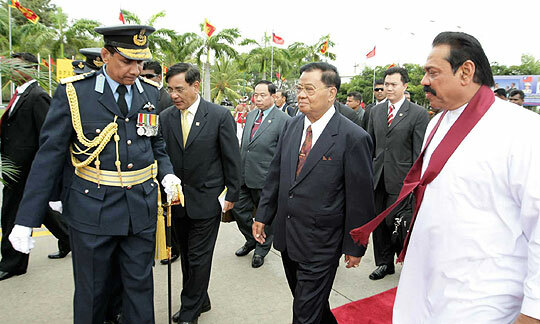 Myanmar’s President General Than Shwe arrived at the invitation of his Sri Lankan counterpart Mahinda Rajapaksa to further strengthen bilateral ties. 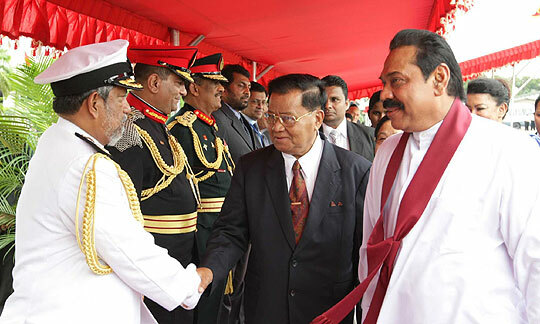 During the Myanmar President's stay in Sri Lanka several MOUs would be signed between the two countries.